Step-by-Step: Make Writing User Guides as Easy as 1-2-3! Wouldn’t it be wonderful if quick reference guides (QRGs) wrote themselves? Having authored 1000+ system navigation QRGs for over 100 propriety applications, we will reveal how our guides practically write themselves. During this workshop, we will share our experiences and best practices so that your team can establish a writing style that provides clear and consistent instruction for both your audience when reading the QRGs and your team when writing them. You will leave this workshop with tips to ensure every member of your team looks forward to writing the next guide! Tools to write systems (technical) guides and handouts that result in easy to follow documentation to support your training initiatives. New ideas for writing standards and styles that ensure teams, large and small, write in a single voice. Our tips will turn the task that no one likes to do into the task that everyone looks forward to doing. 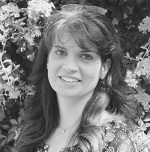 Jeannie Szombathy is a program manager responsible for a team supporting training and prompting user adoption. Jeannie leads a team of global training/deployment specialists who provide end-user training support, including, but not limited to, systems instruction, quick reference guides, videos and virtual desk side support, for propriety applications used by underwriting and claims staff located around the world. Prior to her current role, she was both a systems trainer and project manager responsible for implementations in North America and Europe. Cathie Logan is a senior IT systems trainer at AIG and is responsible for training and promoting user adoption of IT systems globally. 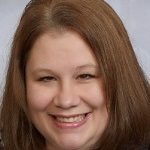 Cathie is responsible for development of training materials, designing and conducting training classes virtually, designing and developing videos, managing training/deployment projects, and assisting and supporting all users in the AIG community. Cathie has her Bachelor of Business Administration and her prior experience includes project management, Six Sigma process improvement and training. 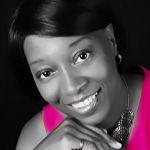 Latanya Washington is a senior IT training specialist at AIG. Her experience includes leading the training and change management efforts for government agencies, Fortune 100 corporations and individuals to increase productivity and improve operational efficiencies using systems and technology. She is currently engaged with the global deployment and rollout team responsible for communication, training, user adoption and feedback. In her spare time, she enjoys spending time with family, international travel, reading and cycling.